Theresa May, the Prime Minister, has today met with Mohammed bin Salman, the Crown Prince of Saudi Arabia, in Downing Street. The prince is visiting the country on a three-day trip and there has been some controversy about whether the Prime Minister should have welcomed him. “The Prime Minister jointly hosted the inaugural meeting of the UK-Saudi Arabia Strategic Partnership Council with the Crown Prince of Saudi Arabia, Mohammed bin Salman, at Downing Street earlier today. The meeting agreed a landmark ambition for around £65bn of mutual trade and investment opportunities over the coming years, including direct investment in the UK and new Saudi public procurement with UK companies. This is a significant boost for UK prosperity and a clear demonstration of the strong international confidence in our economy as we prepare to leave the European Union. These new investment and procurement opportunities will be spread across a range of sectors including education, training and skills, financial and investment services, culture and entertainment, healthcare services and life sciences, technology and renewable energy and the defence industry. The Prime Minister said the UK was a firm supporter of Saudi Arabia’s ‘Vision 2030’, an ambitious blueprint for internal reform that aims to create a thriving economy and a vibrant society – conditions that we agree are essential to the Kingdom’s long-term stability and success. She noted that as a world leader across a range of sectors, the UK was uniquely placed to partner Saudi Arabia in delivering these vital reforms. The Prime Minister welcomed recent reforms in Saudi Arabia, including on women attending sporting events and the cinema, and being legally able to drive from June. The Prime Minister and Crown Prince agreed that we should continue working together to explore ways the UK can support Saudi Arabia to progress and intensify these reforms, particularly on women’s rights, and on universal human rights, where the Prime Minister noted our particular concerns in the case of Raif Badawi. The Prime Minister and the Crown Prince agreed a new education partnership which will see UK experts help the Saudi education system implement their ambitious domestic reform programme, increasing levels of female participation and boosting inclusivity. This will include UK experts undertaking a comprehensive analysis of the Saudi education system, and sharing best practice and recommendations for modernisation. We will embed gender equality, equal access and equal treatment in all aspects of our programme of support. Following the meeting of the Strategic Partnership Council, the Prime Minister and the Crown Prince received a briefing from UK national security officials on foreign policy issues, including Yemen. The Prime Minister raised our deep concerns at the humanitarian situation in Yemen. The Prime Minister and Crown Prince agreed on the importance of full and unfettered humanitarian and commercial access, including through the ports, and that a political solution was ultimately the only way to end the conflict and humanitarian suffering in Yemen. They also discussed Iran, agreeing on the importance of working together to counter Iran’s destabilising regional activity, and Iraq, including the importance of supporting reconstruction efforts”. Philip Hammond, the Chancellor of the Exchequer, is visiting Saudi Arabia today to discuss trading issues between the two countries. During the Chancellor’s visit he is expected to meet King Salman, Crown Prince Mohammed Bin Salman and the Ministers of Finance, Energy, and Economy and Planning. “Saudi Arabia is a key partner for the UK and we are offering ongoing support as it progresses with its ambitious economic reform plan, Vision 2030. We will work closely with Saudi Arabia as it modernises and its economy diversifies, ensuring that both our nations benefit from the growing trade and investment opportunities”. 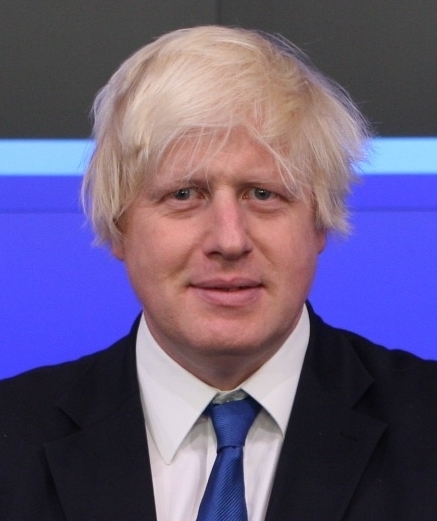 Boris Johnson, the Foreign Secretary, has condemned an attempted missile attack on Riyadh in Saudi Arabia. The missile was stopped by Saudi Arabia and it is thought that it was fired by rebel forces in Yemen. “I am shocked and horrified by the attempted missile strike on Riyadh which was a deliberate targeting of a civilian area. The United Kingdom remains committed to supporting Saudi Arabia as it faces regional crises and security threats. We condemn in the strongest terms this attempted attack and the actions of those involved. British Nationals in Saudi Arabia should continue to follow FCO Travel Advice”. Theresa May, the Prime Minister, met yesterday with Adel al-Jubeir, the Saudi Foreign Minister, in Downing Street. Numerous topics were discussed including Yemen, international security and economic strategies. “They discussed a range of bilateral and regional issues, including the ongoing isolation of Qatar in the Gulf region, with the Prime Minister reiterating her call for all sides to take steps to de-escalate the situation and restore Gulf Co-operation Council unity at the earliest opportunity. Finally, they discussed Yemen, the need to bring the conflict to an end, and the continued importance of demonstrating compliance with international humanitarian law”. “The Prime Minister spoke to His Royal Highness Prince Mohammed bin Salman of Saudi Arabia this afternoon. She began by congratulating him on his recent appointment as Crown Prince and Deputy Prime Minister. She said she looked forward to deepening our close bilateral ties – building on their productive meetings during her recent visit to Saudi Arabia. They agreed that the UK and Saudi Arabia have a strong and historic partnership, and will continue to work together on areas such as trade, investment and security, in support of Saudi Arabia’s ambitious reform agenda ‘Vision 2030’. The Prime Minister raised the issue of the ongoing isolation of Qatar in the region. She reiterated the need for all sides take urgent steps to de-escalate the situation and restore Gulf Cooperation Council unity. She welcomed the extension of the deadline for Qatar to respond to the concerns raised by Saudi Arabia, the United Arab Emirates, Bahrain and Egypt, and noted that this demonstrated the willingness of all parties to make progress towards a solution. She said the UK remains committed to supporting this process. The Prime Minister was also clear that Qatar should continue to work with its Gulf allies to tackle the threat of extremism and terrorism in the region. They ended the call by looking forward to meeting in London at the earliest opportunity”. 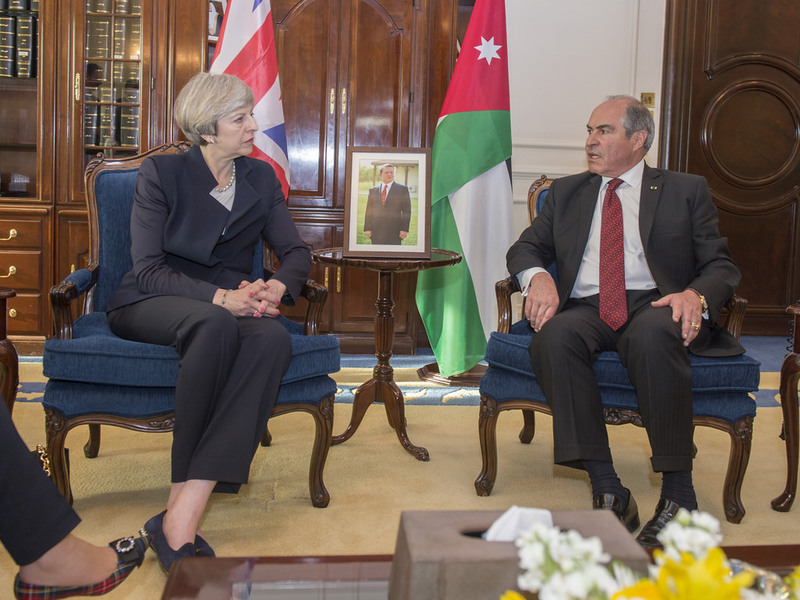 Theresa May meets Hani Al-Mulki, Jordan Prime Minister. Crown copyright / Jay Allen. Theresa May, the Prime Minister, is visiting Saudi Arabia and Jordan to strengthen relationships between the UK and Middle Eastern countries. Discussions are expected to be on security in the region, economic ties and efforts to deal with the refugee crisis. “As the United Kingdom leaves the EU, we are determined to forge a bold, confident future for ourselves in the world. We must look at the challenges that we, and future generations, will face and build stronger partnerships with countries that will be vital to both our security and our prosperity. It is clearly in the UK’s security and prosperity interests to support Jordan and Saudi Arabia in tackling regional challenges to create a more stable region, and in delivering their ambitious reform programmes to ensure their own stability. An even deeper partnership with these countries, and greater knowledge and understanding of one another, will increase our ability to address the issues that concern us, including the promotion of international standards and norms. To tackle the threats we face from terrorism and from geopolitical instability, we must meet them at their source. Jordan is on the frontline of multiple regional crises and I’m clear that by working with them, we are helping keep British people safe. Likewise in Saudi Arabia: we must never forget that intelligence we have received in the past from that country has saved potentially hundreds of lives in the UK. And there is so much we can do together on trade, with immense potential for Saudi investment to provide a boost to the British economy. So I hope my visit will herald a further intensification in relations between our countries and deepen true strategic partnerships, enabling us to seize the opportunities ahead and ensure the security and prosperity of our people for decades to come”. “As it stands, the British-Saudi relationship is damaging to the people of Saudi Arabia, Britain and the wider Middle East, and helping to export insecurity to the rest of the world”. The Foreign Office has signed a joint communique with the Governments of the USA, the UAE and Saudi Arabia over the current situation in Yemen. “Following on from the meetings held in London on 19 July and in Jeddah on 25 August, the Foreign Ministers of the United Kingdom of Great Britain and Northern Ireland, the United States of America, the Kingdom of Saudi Arabia, and the United Arab Emirates met in New York on 21 September 2016 to reaffirm their commitment to finding a peaceful resolution to the conflict in Yemen and alleviating the humanitarian suffering of the Yemeni people. The Special Envoy of the Secretary-General of the United Nations for Yemen attended the meeting and briefed on the latest developments and challenges in the peace process. The Foreign Ministers called on the Government of Yemen, the Houthis, and elements of the General People’s Congress to do everything necessary for a peaceful and orderly political transition. They rejected unilateral steps by the parties in Sana’a, including the announcement of the Supreme Political Council on 28 July, which only serve to undermine the path towards an agreement and must be avoided, and expressed concern about economic conditions in Yemen and recent developments associated with the Central Bank. The Ministers stressed the importance of the Central Bank serving the interests of all Yemenis. The Foreign Ministers jointly called for an immediate return to a complete Cessation of Hostilities, under the Terms and Conditions which went into effect on 10 April 2016, beginning with a 72 hour ceasefire to allow the UN Special Envoy to engage in consultations with the Yemeni parties. They also called on all sides to resume working through the De-escalation and Coordination Committee to facilitate the strengthening of the Cessation of Hostilities. The Foreign Ministers expressed particular concern about and called for an immediate halt to all cross-border attacks on Saudi Arabian territory, including ballistic missiles. 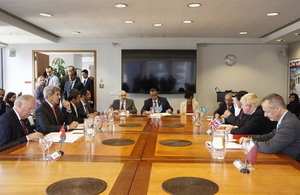 To avoid further humanitarian suffering and economic deterioration, the Foreign Ministers further called on all parties to allow safe, rapid and unhindered access for humanitarian supplies to all affected governorates, including Taiz, and to facilitate access for essential imports of food, fuel and medical supplies into the country and their distribution throughout. The Foreign Ministers concluded by stating the need for the Yemeni parties to demonstrate good faith, flexibility and a spirit of compromise in order to bring peace to Yemen”. 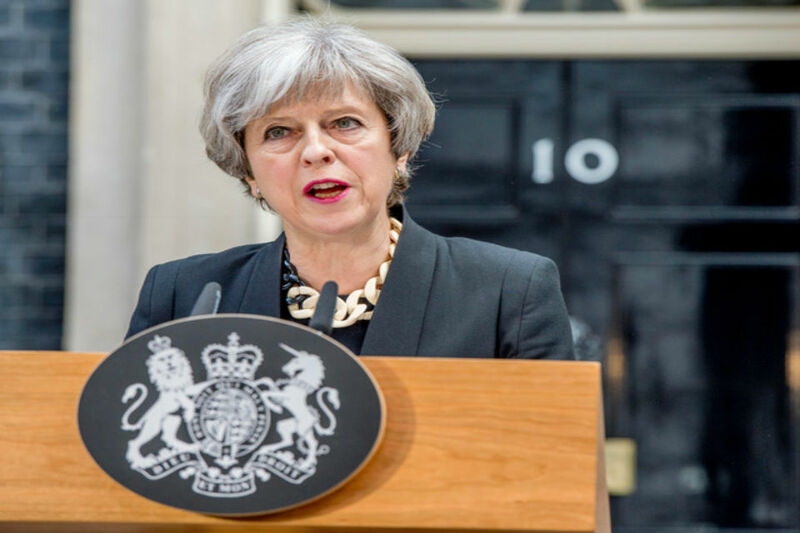 The British Government has reacted with disappointment after the news that Saudi Arabia had executed 47 prominent individuals. The action has also sparked a diplomatic issue with Iran and led to international concern about the killings. “I am deeply disturbed by the escalation in tensions in the last 24 hours in the Middle East. There are those who will wish to exploit the situation and raise sectarian tensions higher. This would be against the wishes of the vast majority of those in the region. I urge all parties in the region to show restraint and responsibility”. “It is not right that the UK should be actively cooperating with a justice system that shows such flagrant disregard for the most basic human rights and the rule of law”. Philip Hammond, the Foreign Secretary, has expressed sympathy following the collapse of a crane at the Grand Mosque in Mecca which has killed over 100 people. “I’m shocked and saddened to hear of the accident in Mecca involving a large number of fatalities amongst those attending the Hajj. My thoughts are with the families of those affected”.